The Weather Channel (TWC) and MagicSnow get into the holiday spirit with the “Guaranteed White Christmas” contest that will bring the magic of snow on Christmas Day to one location, no matter the forecast. Many dream of waking up to a white Christmas with crisp snowflakes falling to the ground, and who better than the leading weather provider to make that dream come true? TWC will broadcast live from the winning location from 9 a.m. – 2 p.m. ET on Dec. 25, as the winner’s yard transforms into a winter wonderland blanketed with genuine snow. TWC meteorologist Adam Berg will provide on-air reports to capture all of the day’s excitement and get reactions from the winner along with family, friends and neighbors. 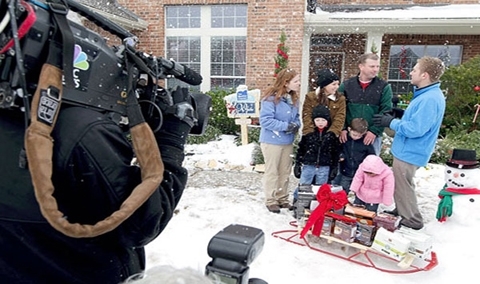 TWC has partnered with Hollywood effects firm MagicSnow to create the ultimate White Christmas experience. 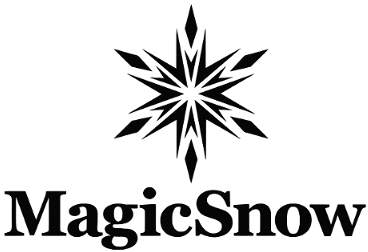 MagicSnow is famous for creating large scale snow effects for film and entertainment productions, worldwide. Sears will be this year’s presenting sponsor for TWC’s “Guaranteed White Christmas” contest, which will be open to residents of the continental United States Nov. 8 – Dec. 5 (see below for official rules). Qualifying video submissions will be reviewed by a panel of judges from TWC and based on uniqueness and creativity of the video entries, two finalists will be selected along with one grand-prize winner. As if receiving snow wasn’t enough, the grand-prize winner will win a $15,000 cash prize plus a $1,500 Sears shopping spree and a Tassimo Hot Beverage System. Each finalist will receive a $2,500 cash prize, a $250 Sears gift card and a Tassimo Hot Beverage System. The grand-prize winner will be announced on or around Dec. 10.